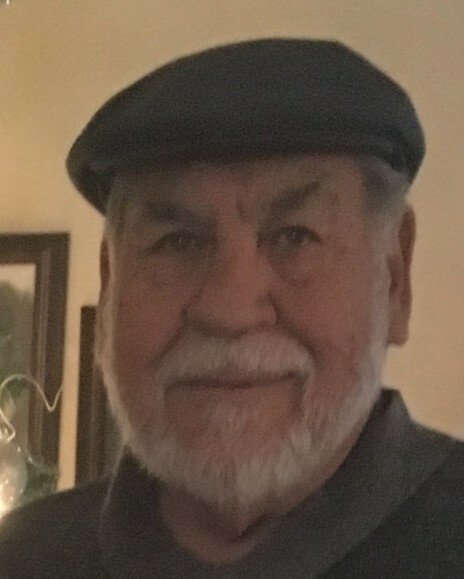 Erlando Storey, 82, of Amarillo died October 23, 2018. Rosary will be said at 5:00 p.m., Sunday, October 28, 2018 at Angel Funeral Home Chapel of Angels, 2209 S. Arthur. Funeral mass will be celebrated at 10:00 a.m., Monday, October 29, 2018 at St. Mary's Cathedral, 1200 S. Washington. Burial will follow in Llano Cemetery. Arrangements are by Angel Funeral Home. Our Dad is Erlando Storey, he was born in the community of Belen New Mexico on July 13th, 1936 to Guadalupe and Aurelia Storey. At the age of nine his father who worked as a brakeman for the Santa Fe railroad was transferred to Vaughn New Mexico, it was there that he would meet his Wife of 63 years Lita Lopez. Together they journeyed thru life raising 3 children; Charles Henry, Dolores, and Cindy. Our Dad was Grandfather to 5 grandchildren; Stephanie, Andrew, Samantha, Johnathan and Cassie, 8 Great Grandchildren; Ariana, Abby, Ginessah, Jaden, Carson, Elliana, Bentley, Greyson, Audrey and the expecting arrivals of 3 new Great Grandchildren. Our Dad was one of 7 children, his siblings were; Eddie, Betty, Tony, Gilbert, Frank, and Angie. Our Dads love was as abundant as those who loved him. The Spouses’ and partners of his Children; Harold Hernandez, Satien Storey, and Gilbert Rodriguez, the extended family of Uncles, Aunties, Nieces, Nephews their spouses and children as well as his friends, all knew of his unconditional love. A Carpenter/Cement-finisher by trade, he could build a house from the ground up, an avid fisherman and a don’t mess with the Dallas Cowboys fan. Spending the day drowning worm’s with his fishing partner and wife on Saturday’s, laser focused on the Dallas Cowboys on Sunday, were among his favorite joys. A friend to all, never knowing a stranger, always willing to lend a hand and never expecting anything in return, Our Dad was a good guy who was non-judgmental, and never a bad thing to say about anyone. Our Dad was home with his Wife and Children at his side as he peacefully took the hand of the God on October 23nd 2018.